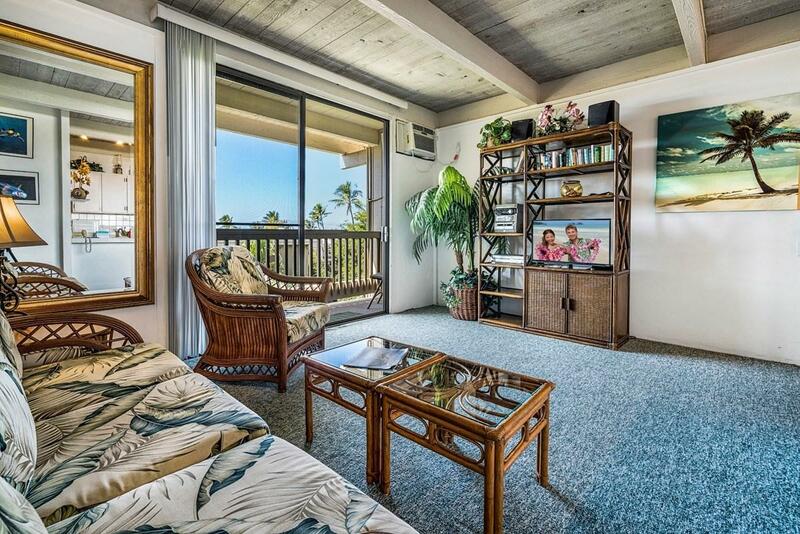 Top floor, 1-Bedroom/1-Bath condominium at the Kona Bali Kai complex on historic Alii Drive. 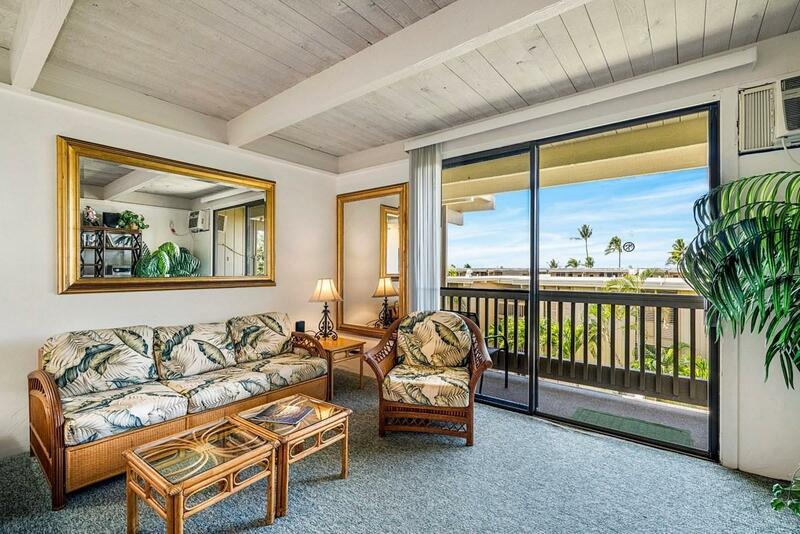 AC, open-beam ceiling, turnkey-furnished, washer-dryer and a "peek-a-boo" ocean view! 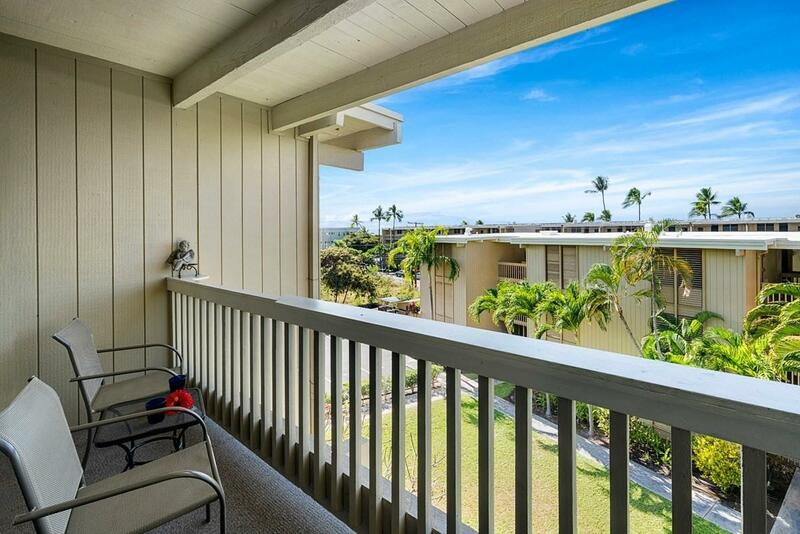 This unit is located in the rear (quiet) building on the garden-side of Alii Drive. 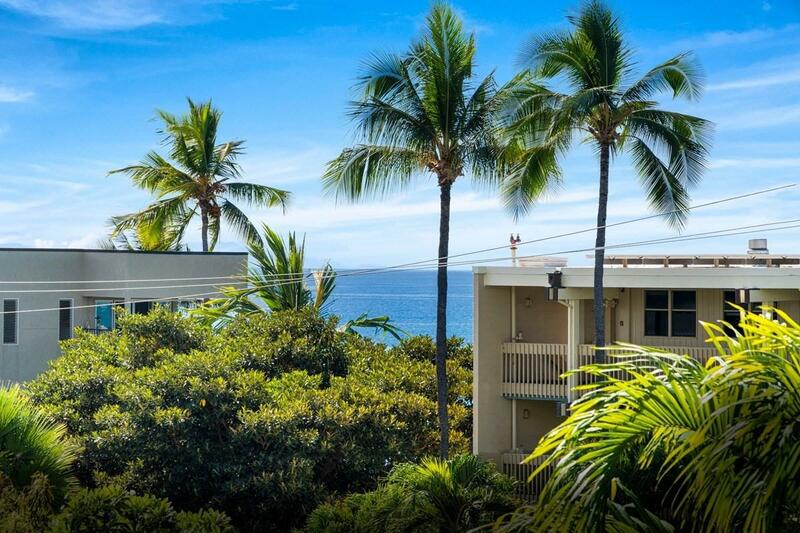 The complex amenities includes: oceanfront (and garden-side) BBQ's, an outdoor pool and spa, a spacious yet welcoming lobby with an on-site rental agency and local "poke" eatery.Surfers can walk across the street to the Banyans Surf Break. Others can see turtles in the tide pools, watch breaching whales (in season) and admire year-round sunsets from the ocean front grassy areas. There is a resident manager and security patrol, too. The trolly/bus stop to town is right in front of the complex. Rent out or live in year round. The choice is yours!